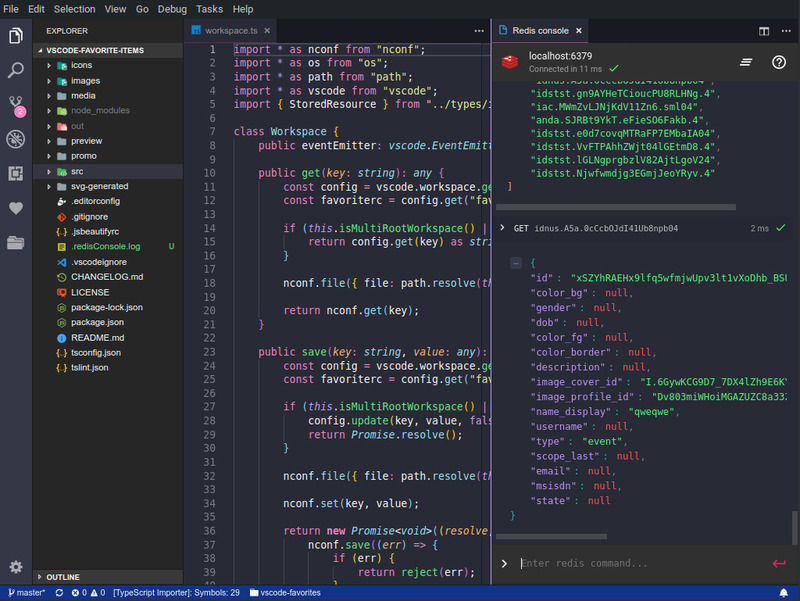 Visual Studio Code>Other>Redis consoleNew to Visual Studio Code? Get it now. 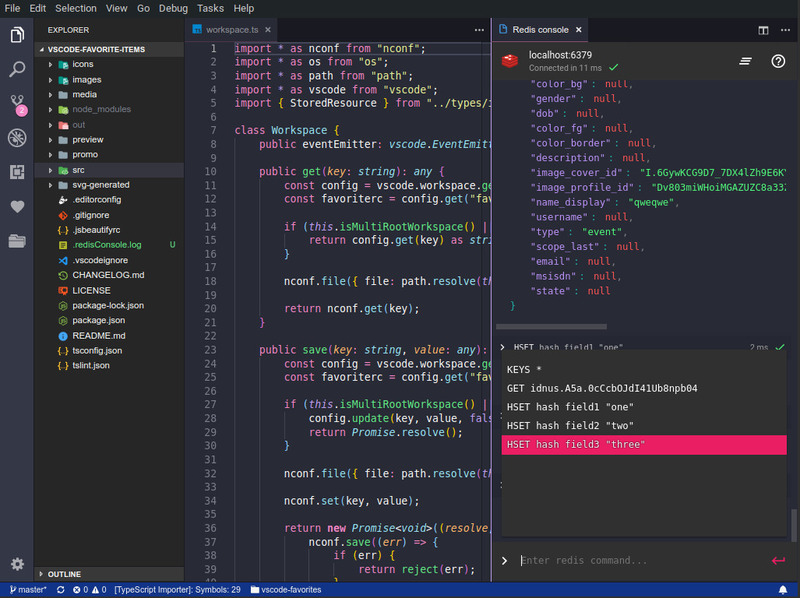 Redis console for Visual Studio Code provides ability to execute Redis commands directly from your workspace. [string] Password to use when connection to Redis instance. Leave blank if no password is used. Default ""